We would like to wish everyone a Merry Christmas! Enjoy the holidays. School will reopen on Monday 7th January 2019. Our latest newsletter is hot off the printing press. 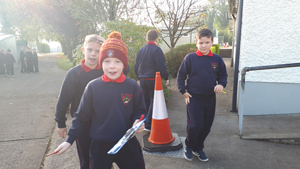 Read all about the great work that has been going on in our school over the past month. 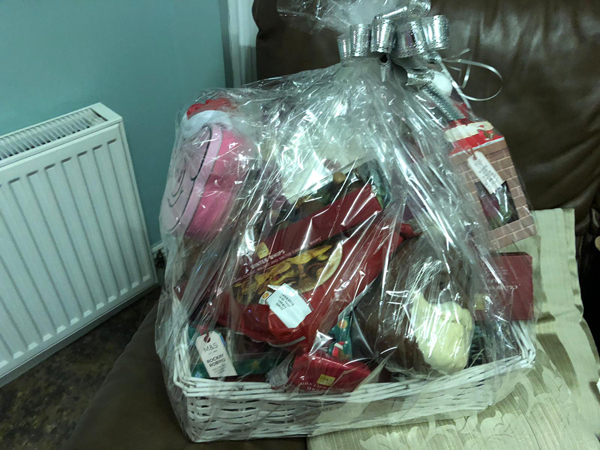 Our Parents Association Christmas Raffle will take place on Thursday 20th December. Up for grabs this year is a fabulous hamper worth €130. There is also a sellers prize of a €30 gift card for Ken Black Toys. Please ensure all cards are returned by Thursday 20th December. We have just received exciting news that our school will be building a new extension in the coming months. To read more on this fantastic news click here. Our Enrolment Week takes place from Monday November 12th - Friday November 16th. 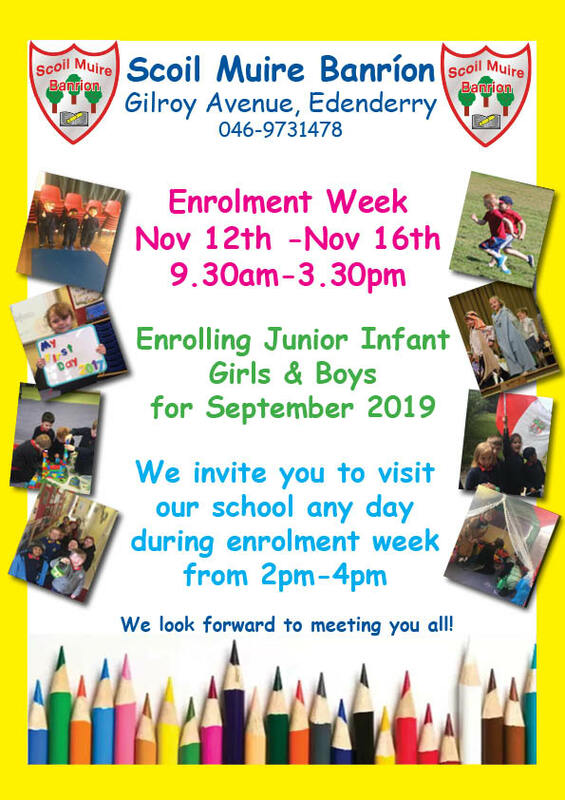 This enrolment is for girls and boys who will be starting in Junior Infants in September 2019. 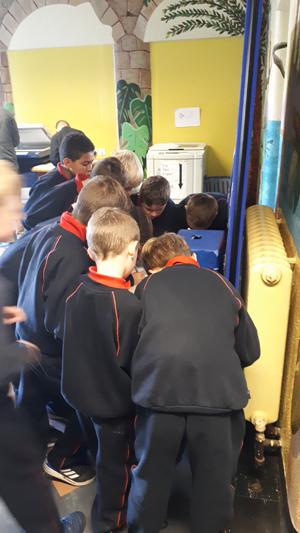 For more information please drop into the school office or call 046-9731478. Our Halloween is now available to read by clicking here. 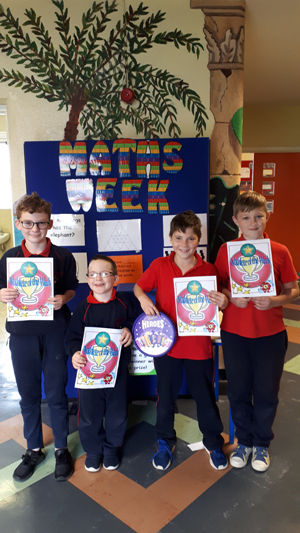 All of this week, October 14th-21st, we have been celebrating Maths Week in our school. 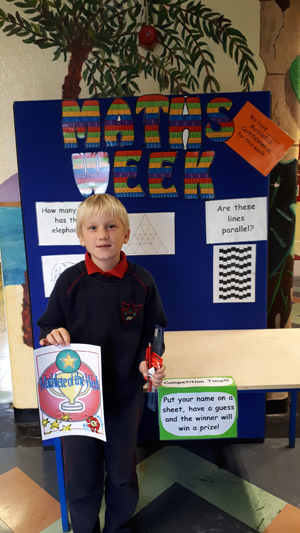 We have been running daily maths puzzles as well as going on maths trails. 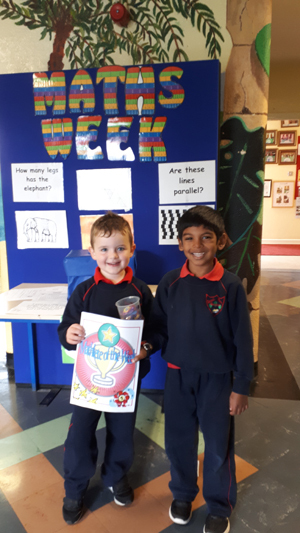 The highlight of the week was the 'Guess the Sweets' competition. Some classes also took part in maths table quizzes. We all learned that we use maths every day and that maths is fun. 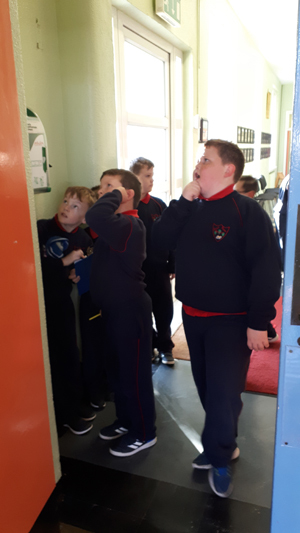 Sharron Lynskey from The Ian Dempsey Breakfast Show on Today FM paid our school a visit on Monday 15th Oct. She spoke to Mr Ryan’s class about a variety of issues including what would happen if we had no internet and the most effective ways to combat snoring. This was then broadcast on Thursday 18th October. 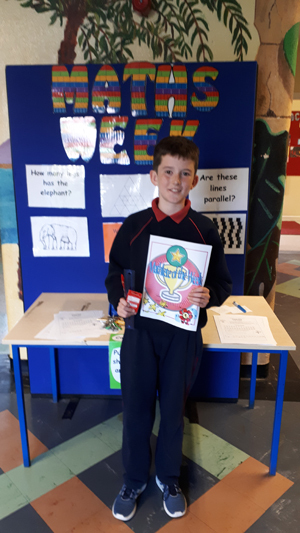 To listen to our students click here.Well done to all who participated. 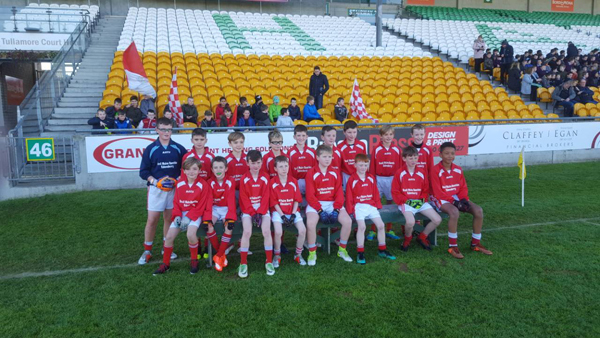 Our school football panel gave a fantastic display in theCumann na mBunscol Shield Final in Bord na Móna O' Connor Park on Monday 15th November. 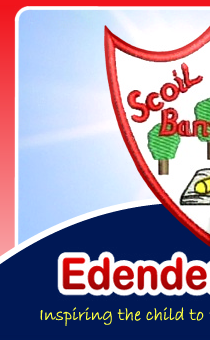 Unfortunately they were beaten by Scoil Eoin Phóil of Tullamore in the final after extra time. They performed brilliantly over the course of the season and were rewarded for all of their hard work with the win. A big thank you to Mr Ryan and Mr Murphy who coached the team this year. Our school reopened on Thursday 30th August for the new school year. We would like to welcome all of our new girls and boys who have started with us. 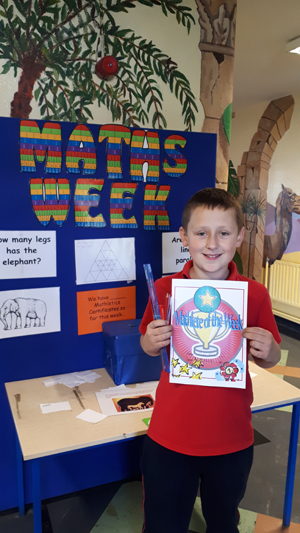 Our school are currently running a Mathletics leaderboard tracking which classes are the most successful at gaining certificates. 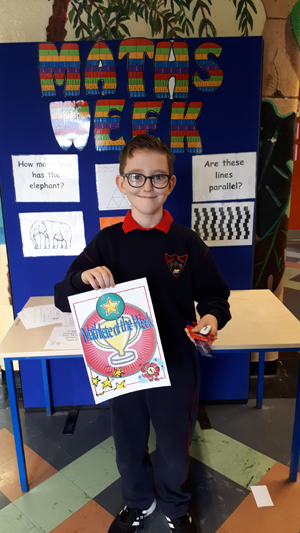 Any child who receives a certificate will be in the draw for our 'Mathlete of the Week' competition. Our highlights of the year video is now available on our YouTube Channel. We hope you enjoy looking back at what has been another fantastic year for our school! To watch the video please click here. 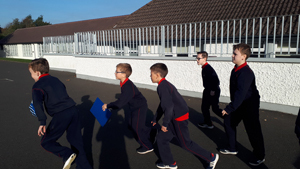 We would like to say goodbye to our sixth class for this year. They will be missed around the school. We also wish them well as they start in Secondary School in September. Our school has produced a new information booklet for the school year 2018/2019. You can read it to learn about the facilities we have to offer in our school. 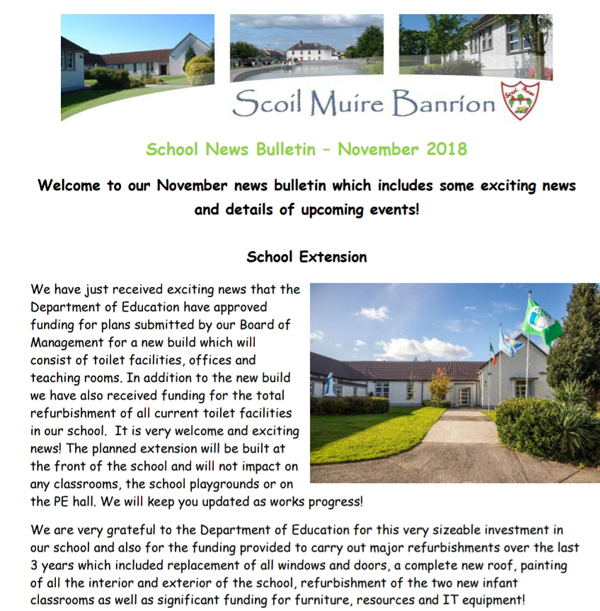 If you have any queries in relation to enrolment you can email the school, bnsedenderry@gmail.com or you can also download our enrolment form and email it to us. 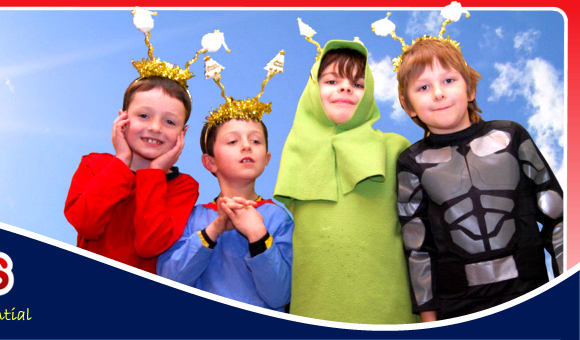 Keep up to date on school activities through our Twitter account and also on our News and Events page.